Kimabaya is another innovative project by Green Studios, a collaboration with “milia m” for Beirut Design Week 2016. The collection was showcased at the museum of the 'institut to monde arabe' in Paris in 2016 during Paris fashion week. “Combining the lines of a kimono and the abaya is the Kimabaya, a delicate and unique coat design that works to combine cultures as well as comfort.”, and now combined with plants.It’s an abstract re-birth of the iconic Kimabaya coat in Green Studios’ skin, intricately stitched and woven with plant patterns and textures. The idea behind it is to have as well, a flexible, portable landscape, that can be displayed anywhere. 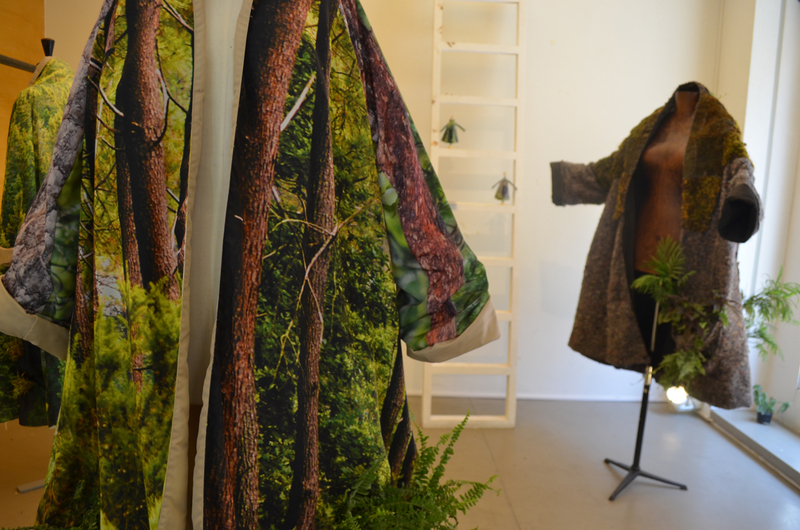 The entire garment is covered with hydroponic skin, and parts of it are stitched with plants, creating different volumes and textures, with the use of moss and other types of voluminous plants. When worn, the planted Kimabaya is in face a movable, walking garden that can roam in the city spreading it’s green touches and fashionable style all around. previous . Inside//Out . Art & Innovation projects . view more projects . next . .